Korean beauty companies collaborating with SNS companies or other brands with special characters like Disney, etc. 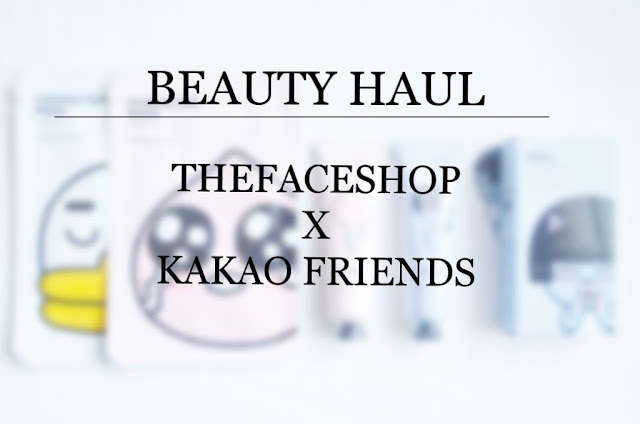 has been a trend for the past few years so this year, one of my favourite K-beauty company, TheFaceShop has collaborated with Kakao Friends and Pixar's Monster, Inc. I went to a local TFS store recently and saw the collection is on 20% discount for all the items so I grabbed few items among other things as they're so cute! First off, Neo! She's known as a feline fashionista. I got the Neo Berry hand cream together with Soul Secret Blossom perfume which has been repackaged with Neo as the theme. The scent is sweet but not too much so I'm really loving it right now. I also got Apeach Cherry Blossom Hand Cream. I guess it's obvious as I'm obsessed with anything made off Cherry Blossom. 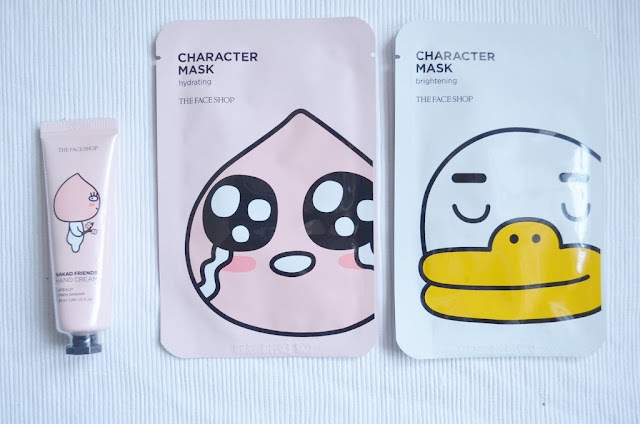 There are also character sheet masks! I got Apeach character for Hydrating and Tube character for Brightening. As you've seen in my blog, I'm indeed a sheet mask junkie so I just had to get these! 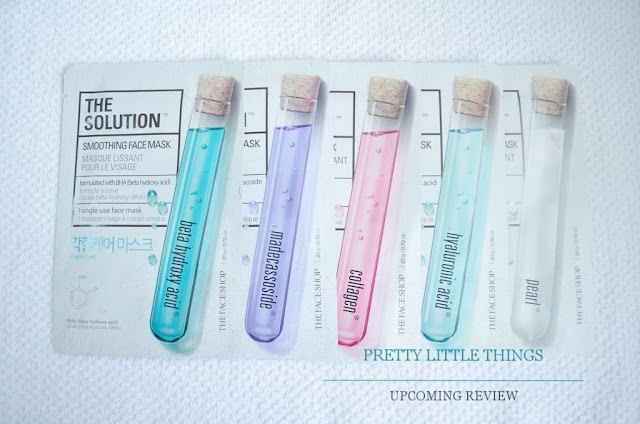 These are The Solution Face Masks and there are 10 variants in this sheet mask line but only 5 were available at the store at that time. Definitely gonna grab some more later. I just had to get these as ever since I've placed my The Body Shop perfumes and body butters, they tend to ran out rather quickly as I've been obsessing with applying them throughout the day. I'm thinking to get perfume oils as the scent lasts longer compared to these perfumed body sprays. 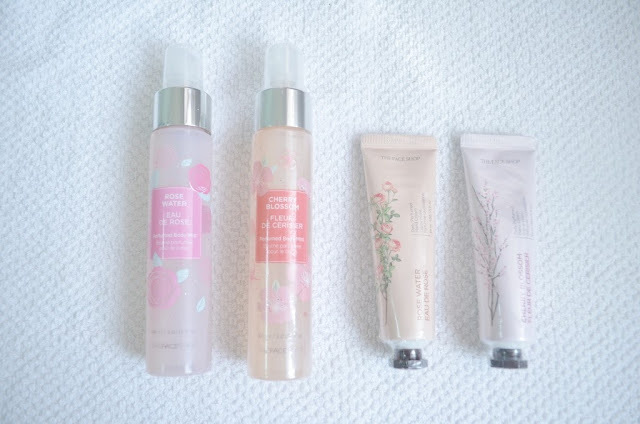 I'm starting to get into rose-scented items as well so I'm looking forward to how these fare to The Body Shop products.